A US debut! 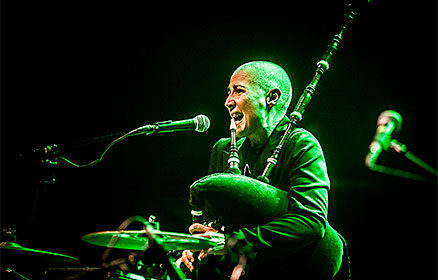 Mercedes Peón (from La Coruña, Galicia) is an outstanding singer, Galician bagpiper, and multi-percussionist, who has dedicated herself to recovering traditional music in her native Spain. Peón has pioneered the formation of various female groups, received many awards, and performed at festivals throughout the world. She has worked with Xosé Manuel Budino, Manu Chao and Carlos Núñez amongst many others.